Here is good mental note to take, never say never. No one knows what tomorrow will bring, and even the best laid plans sometimes do not pan out. 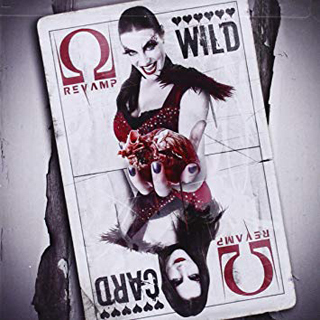 Proof of life’s uncertainty, versatile Vocalist Floor Jansen was cruising along with her band ReVamp, when all of a sudden, Nightwish came calling for her to sing on some live gigs in 2012. Initially brought in as what she thought was a fill-in, six years later, Jansen finds herself the lead voice of Nightwish, recording Endless Forms Most Beautiful in 2015, and touring the world over. A completely unexpected left turn in her life’s plan, Jansen has seen since a lot more change come her way, but all beaming with positivity. 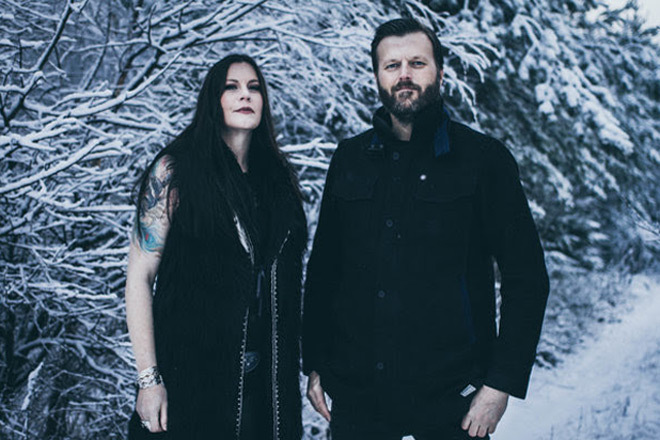 Amidst everything, Jansen still has other ambitions, and one such came around a decade ago when she met up with virtuoso Guitarist Jørn Viggo Lofstad. Looking to try her hand, or voice in this case, at something other than Metal, Jansen and Lofstard joined forces for a Hard Rock project. Unfortunately, that project was shelved… that was until now. 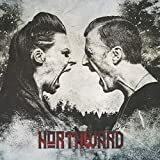 Ten years later, the two have come together to fulfill their Rock-n-Roll fantasy in the form of Northward, a self-titled debut album due out October 19th. The only question left to ask is, are you ready? Excited about it all, Jansen sat down to chat about her wild ride over the past five years, learning from experience, indulging in Rock-n-Roll, plus so much more. 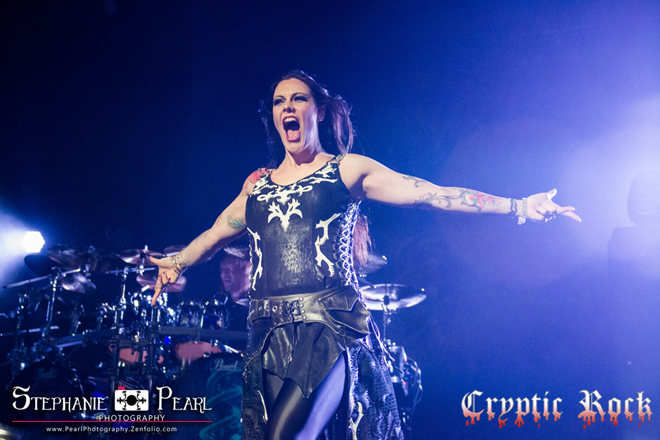 CrypticRock.com – Last we spoke in 2013, in promotion of the latest ReVamp record, it had not even been officially announced that you would become the full-time vocalist of Nightwish. Needless to say, a lot has changed since then. Tell us, what has the last five years been like? 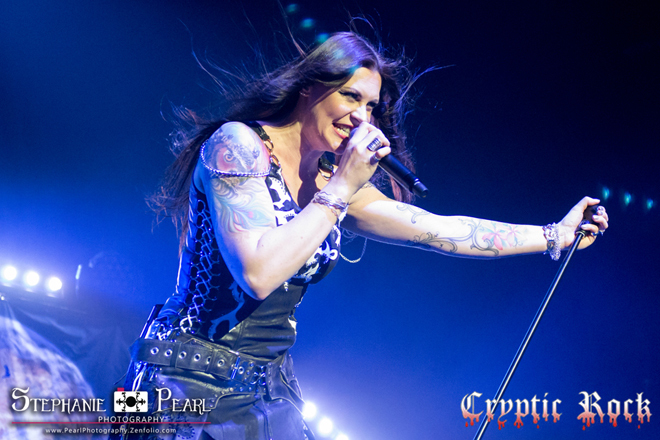 Floor Jansen – The last few years have felt like a lifetime, to be honest; busy and good ones, unforeseen. Me joining Nightwish was completely unforeseen. At that time of my life, I did not want to give up on ReVamp yet. I did not think of moving away from The Netherlands, yet. I didn’t know if I was going to be the singer of Nightwish at all. After that, when I knew for sure, it really set in that I knew things are really going to change. I thought, I really don’t see myself really continuing another band, a band really needs 100% input to make it work and to make it worthwhile for all its members. I already had the guys waiting for me twice, it just felt like, this isn’t fair; we all need to take our paths. I moved to Finland and just when I made all the arrangements. I met my Swedish husband-to-be at the time; I lived a year in Finland with him, and I moved to Sweden where I live with him now. That changed too. (Laughs) Then I had this project I did ten years ago now, Northward, which I never got to finish. Which also, when we spoke last, was not really on the menu, because I didn’t know when I would ever have time. Then we talked about Nightwish’s break, which was good especially for the guys who have been in the band since the beginning – it would be great an entire year off from it. It was not because we don’t like it, but because it will give new energy, which it did. There we were, 2017 became that moment where I could indeed pick up this project and it happened. CrypticRock.com – Wow, a lot has certainly happened in five years for you – personally and professionally. Floor Jansen – Yeah, everything! I immigrated twice, I got married, and I became a mom, not to be mentioned last. CrypticRock.com – A lot of big things, and congratulations on becoming a mom! You mentioned Northward, which was put on the back-burner for around a decade. A little different than what you have done in the past, it is heavy but more Hard Rock. Tell us a little bit about the inspiration behind this project. Floor Jansen – It was indeed intended to sound different and to be a Rock album, not a Metal album. That was my idea: it was something I had ambition to do back in 2007, knowing 2008 would be a year off for my band at the time, After Forever. I did Metal albums for 10-11 years at the time, and thought it would be nice to do something else and make a sidestep into another genre, that became Rock. That was taking form in the back of my head when I met Jørn Viggo Lofstad, who is a very diverse guitar player experienced in Rock as well as Metal. We sat together to see if we had some inspiration to write, which we did. We decided it should be a Rock album with just guitars, bass, vocals, and drums – no symphony orchestras, choirs, or keyboards. We actually wrote the album then, we even recorded the drums for the album back then. It was never supposed to be on hold, let alone for so long. After Forever, I did not want this project to be the next, new thing I had to put on hold. Little did I know that it would actually take that much time. When this break with Nightwish came, I contacted Jørn Viggo in 2016 to see if he would be up for it and see if we both felt the music felt good and fitting to who we are at this time and age. When it did, we went for it! CrypticRock.com – Very fascinating to hear about all of this. A lot has changed in a decade, and now the album comes out this October. It’s a very good record, certainly more Hard Rock. 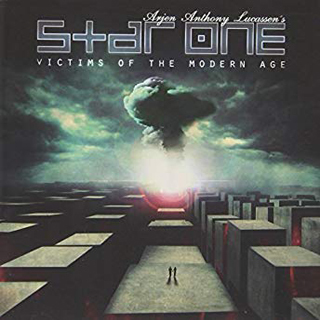 Interestingly enough, since you first envisioned this project, there has been an influx of female-fronted Hard Rock acts getting much deserved attention, for example, the rise of Halestorm. It has become very popular and great to see. CrypticRock.com – And the album is diverse. It has its heavy moments, its more melodic moments, and it has its softer moments as well. That is what a good Hard Rock album should be like. Floor Jansen – Thank you for saying that. We definitely wanted to make a diverse album. By letting us get inspired by so many different bands, it comes out naturally or subconsciously one way or another. Making an album is always a puzzle: you start by seeing a lot of different pieces and they all need to come together into one picture. It takes time before you actually start to see the picture, which was the same with this album. It was interesting to pick up the pieces, because we had the picture almost complete. That is something you really do in the last phase when you start recording, and when songs come out the way you do when you actually record them. We spent a lot of time making really good demos, but still, the actual recording is always something else. Given the fact that there was ten years in between, that naturally led to maybe bigger changes than if we recorded it back in 2008; which I think it also led up to a better diversity. Plus, I am happy I had the time to evolve more as a Rock singer. Back then, it was an idea, concept, a desire for me that I wanted to learn more about this style. 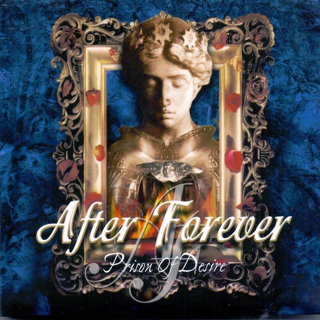 I was fascinated by it, but I couldn’t really use it in After Forever; I started to use more of a Rock raw vibe in some of the songs but it still was not the same, I wanted to explore more. 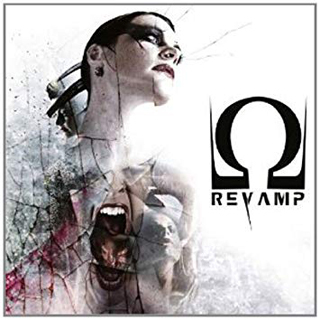 Which I also did later on in my band ReVamp, even in Nightwish where the music kind of asks for it every now and then. But it is still different to just use that, and it comes out in the full power as with Northward. I’m happy! I think I did a better job now than I could have done if I recorded it ten years ago. 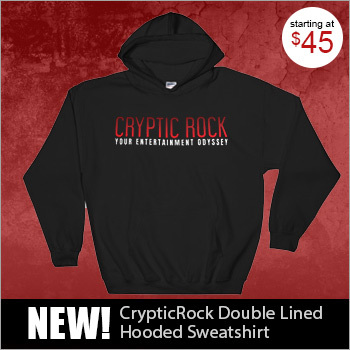 CrypticRock.com – It came out wonderfully and it is compelling to see you try a Rock style. You have done a lot of Metal through the years. 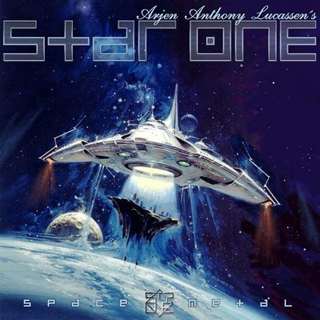 There is certainly a different approach to singing Rock opposed to a more Symphonic Metal. What was it like for you to try a more Rock style? Floor Jansen – Absolutely! It is completely different. Within Nightwish, there is also a lot of diversity. I do approach a lot of the songs way more rocky than the ladies before me. That always comes out more and live just demands sometimes a bit more. Also, now, this tour we are doing with Nightwish, where we are playing only old songs, we could have gone for the symphonic approach. I am not entirely that either. You naturally start to listen to the music different, and sometimes it has to be exactly that. Other times, you can take that same song with a rougher approach, which makes the song rougher by itself, which is cool live and some songs scream for that. It’s still different to do that in Metal than in Rock. CrypticRock.com – It is very unique in style. Seeing you are busy with Nightwish on the road, could you expect seeing yourself doing some lives shows with Northward in the future? CrypticRock.com – Understandable. You have a lot going on with Nightwish, plus most importantly, your family. CrypticRock.com – Never say never, as you said. You mentioned Nightwish and the workload. You have done the 2015 album Endless Forms Most Beautiful and toured the world with them. What has your tenure in the band been like? Floor Jansen – It’s always been good! It was good from the first show and the first surreal weeks in the US when the band had just parted with Anette. I just had come in from my living room really, because I had been home for a year and half sick. I was just recovering from an illness and coming back to life. They were just in a state of survival, wondering if the band would survive this or not. We just had a blast! That set the foundation for the tours after to come and years after. Then we started making an album together. We rehearsed a lot, spent weeks and weeks in Finland – that was great. We have had a lot of experiences together already. It always feels like a homecoming touring with the guys, making an album or rehearsing. It’s always something to look forward to. I am still incredibly proud that I, of all the women in the world, I became their new singer; they wanted me, I got that call. That is something I will never take for granted! CrypticRock.com – It is a wonderful story and well-deserved. You mentioned how you were not ready to let ReVamp go. You eventually made the difficult decision to let it go officially in 2016. Was that a hard decision? Floor Jansen – Yeah, I didn’t want to. I also didn’t want to continue that way. Like I said, it felt like everybody was always waiting for me, first and foremost my band members, but also fans. I knew for the coming years it would be so hard to make an album. Even with this project, Northward, I could not have done it if I also had to write the music. It was only possible to do what we did now, even that was pushing it time-wise. I am happy I made the decision in that sense. If I fought for anything, it was ReVamp. CrypticRock.com – Yes, and making these types of decisions are part of life and it is so hard. Floor Jansen – They are inevitable. You have to be honest to yourself and others. You can’t have it all: that’s an illusion. CrypticRock.com – That’s the truth. You have been doing this for twenty years, since you were a teenager. You have obviously learned a lot, and it may be hard to pinpoint, but what would you say is one of the most important things you have learned from your experiences? Floor Jansen – I would say two things. One, to be patient, but that is also because I don’t have a patient nature. (Laughs) Second, which shares first place perhaps, is you can’t plan anything. You can make a plan up to a certain extent: you can say, “I would like to be here and there in five years from now. I can make a ten year plan: I can look ahead even after,” but the further you get away from today, the harder it is to actually really know. The more you think you know, the harder the fall when you realize it was not true. 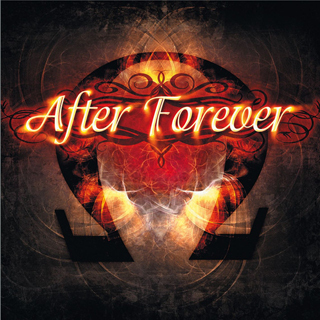 When my band After Forever disbanded, despite me saying we should not, we should continue, I was the only one of six people who said this. Gone it was twelve years, I did not expect it. Looking back, I must have been blind, but I was so convinced that we could make it. I was so convinced that I could convince the rest, that I had a good plan and everyone was getting new energy from being away from it for a year. It didn’t happen. That was the first realization to me that you just don’t know; you have to keep all your senses open. You can’t just get into a comfort zone that much, that when something unexpected happens, you had never given it a second thought – what could have happened? That sounds a bit doomsday like, but I do think, what would happen if Nightwish would stop tomorrow? I don’t think it would happen, I don’t expect it to happen, but hell, one of the guys can get into an accident and that would be it. It can happen, I would be a fool not to think about it every now and then. That is something I try to learn from past experiences: I want to be open for anything. CrypticRock.com – That all makes perfect sense; it is all part of earning life experiences. 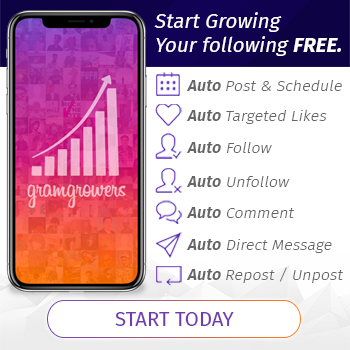 CrypticRock.com – Right, and you have high hopes when you are in early twenties, but as you get older you tread lightly a little more. Floor Jansen – Yeah, but I think a lot of people become so precarious and so safe in their comfort zone that they created for themselves, that no moves are being made whatsoever – until being forced into it. That is what I mean by never giving a second thought: you think you are always there and think the way things are going to stay forever – no it’s not. That would be terrible too – look what there is to see in the world, to see and explore. Not everyone is as equally as adventurous as me, I get that. Hell, after everything I have done over the last five years, a little bit more of the same would actually not be that bad for me. But let’s not get too comfortable, because that stops from evolving and doing cool new things. 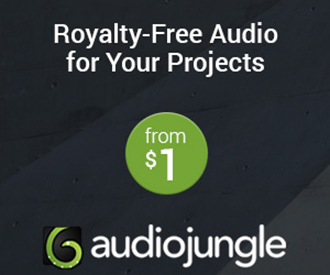 CrypticRock.com – Agreed 100%. Now you are doing that with Northward. The Rock-n-Roll exploration has been on your mind for a longtime obviously. Floor Jansen – Yes, it definitely has. There are a lot of really cool Rock singers. I think when it comes to singing, I actually have more with the Rock style than Metal singing. CrypticRock.com – Yes, and you stated you were not sure how your Metal followers would receive Northward. That is a truthful apprehension, because it is clear there is a wall with many people who only listen to Rock or Metal. Floor Jansen – Absolutely. In general, if there is one thing some Metal fans have, which is both good as bad, they kind of want to see the same thing every time. Maybe it’s the same with Rock. They want to hear what is familiar and maybe sometimes are not open to new things. That was something I was a bit afraid of, but I am very glad I am proven wrong. I come from the Metal side, so I hope Metal fans would appreciate my Rock. I hope to also find some Rock fans who would appreciate my Metal. CrypticRock.com – Yes, it opens up new doors. Last we spoke you mentioned you do not like Horror movies. Let’s open up the question, have there been any films you have seen recently, in general, that you enjoyed? Floor Jansen – There was a movie called Arrival (2016). I watched it not long after I gave birth, but from a mother’s perspective it touched me so much. From a parent’s point of view – you know what I mean if you have seen it. My biggest disappointment was the thing I was looking forward to the most, Dark Tower (2017). I love Fantasy, I read the Dark Tower series twice now. The movie had great actors, a great story, but they managed to turn and twist it so that it does not add up to anything at all from the book or anything that is to come after.